"Wake-Rider" by Vandana Singh is a science fiction story in the December 2014 issue of Lightspeed magazine. It's one of the fifty-seven short stories that made the recent 2014 Locus Recommended Reading List. I (Amy) wanted to read something from this list, but didn't know where to start. Using a random number generator, I randomly selected to read this story. "Wake-Rider" is set elsewhere in space, sometime in the distant future when multiple planets have been settled by humans. The protagonist, Leli, is a young woman who has joined the revolution against the Euphoria Corpocracy. A nanoplague that transforms infected people into docile, servile manufacturers and consumers is spread by Euphoria. Leli stalks an Euphoria salvage ship leaving a space station in her tiny scabship. She rides the ripples of spacetime in the wake of the salvage ship, and accompanies it across Metaspace. It takes her to a region near an abandoned planet that was cleansed by Euphoria after a failed revolution. Leli follows the salvage ship to a derelict generation ship. Onboard Leli finds no one left alive. But in the generation ship's cryochamber, she discovers evidence that the frozen dead humans, who were likely fleeing revolutionaries, may have found a cure for the nanoplague. Leli must not let the salvage crew find the cryochamber. I thought "Wake-Rider" was a good, solo space adventure. I found Leli to be a sympathetic protagonist. There were action scenes, and interesting futuristic details. The Euphoria Corpocracy was painted as pure evil, and the generational ship as the scene of a tragedy. One thing that made this story different was that it showed how devastated Leli was by the accidental deaths of the salvage ship crew, because she felt they were once people like her. The author, Vandana Singh, is a female Indian science fiction writer living in the USA. She has a Ph.D. in theoretical particle physics. I enjoyed this story. I'll be on the lookout for other stories by Vandana Singh. Picking a random short story from the Locus Recommended Reading List worked out pretty well. I'll be trying this again. Our second semifinal match in Bracket One of the Battle of the 2014 Books features Motherless Child by Glen Hirshberg versus Words of Radiance by Brandon Sanderson. The winner, the book I (Aaron) most want to continue reading after 100 pages, will advance to the championship round. 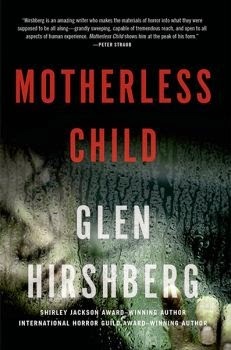 Motherless Child: Tor hardcover, May 2014, 269 pages. 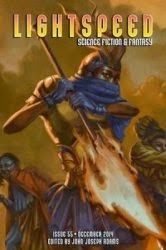 Motherless Child made it to the semifinals with wins over The Last Weekend by Nick Mamatas and Mentats of Dune by Brian Herbert & Kevin J. Anderson. In the first 50 pages of Motherless Child, our single mom protagonist Natalie and her friend Sophie woke from a wild night with a mysterious musician called "The Whistler" to the realization that they have become vampires. Not trusting themselves, they left their sons with Natalie's mother, with instructions for her to go into hiding, and they hit the road. In the next 50 pages, we learn that the Whistler regards Natalie as his destiny, much to the annoyance of the vampire he has been traveling with. Meanwhile, Natalie and Sophie wander aimlessly——at one point Natalie gets shot, to no ill effects——trying to ignore the growing urge to feed. Words of Radiance:: Tor hardcover, March 2014, 1080 pages, cover art by Michael Whelan. Words of Radiance is the second volume of Sanderson's epic fantasy series The Stormlight Archive. Words of Radiance made it to the semifinals with wins over Into the Wilderness by Mandy Hager and Swords of Good Men by Snorri Kristjansson. The opening of Words of Radiance introduced (or reintroduced, if you read The Way of Kings) us to Shallan, a young woman making a voyage by sea with her mentor Jasnah Kholin while learning about the magical spheres called spren, and Kaladin, the leader of a group of soldiers of Alethkar who earned their freedom defending a bridge, while apparently things were going badly for many of their countrymen. In the following 50 pages, we meet Kaladin's commander, Dalinar. Dalinar receives a vision telling him to refound the "Knights Radiant," then he meets with the king to make plans——really, to tell the ineffectual king the plans Dalinar has already made. Meanwhile, Shallan's and Jasnah's ship comes under attack. The Battle: This is an interesting battle between two very well-written novels, one telling a story on a very personal level, the other an epic on a grand scale. They fled together out the exit doors into an alley, through the alley to the GTO, and back to the relative safety, or at least clarity, of the empty highway. After a while, Sophie ripped open another pack of Dentyne, made a giant new gum wad, then mushed that into place atop the muzzle of the gun. "New lollipop flavor," she said, holding it up. "Shotgum." Then she petted the barrel. Natalie said nothing. She'd decided to try not to think, but that proved easier than she was expecting; the slightest push and every thought she'd ever had scattered like dandelion seeds, leaving just her behind the wheel. A dead stem. Motherless Child is very nicely crafted throughout, with strong characterization. But the story of somebody not thrilled about the prospect of becoming a vampire is not really breaking new ground. So while it would take some very solid writing to compete with Motherless Child, it could be beaten by something well-constructed with a broader scope. I started this matchup figuring that Motherless Child had met its match in Words of Radiance, which also features excellent writing and characterization, but in service of a far more complex and intricate story. But then, in the second 50-page section, Words of Radiance hit a lull. In particular, I found the long discussion with the nondescript king about political maneuverings awfully dull. That does not, I think, reflect any real failure by Brandon Sanderson, but rather illustrates how difficult it is to keep a sprawling epic story engaging to the reader. (In my opinion, even George R.R. Martin ran into this problem, for the entire fourth book of A Song of Ice and Fire.) The Stormlight series necessarily requries a whole lot of pieces to be arranged across a complicated board, but the arrangement takes time to set up. Sanderson lost me for a while as he arranged pieces, and it seemed that Words of Radiance was about to drop out of the Battle of the Books in the semifinals. Figures moved inside. In a frozen moment of horror, one threw something to the floor before the others, who stepped aside to make way. "Be sure," one of the men said. The other one knelt and rammed a long, thin knife right into Jasnah's chest. Shallan heard it hit the wood of the floor beneath the body. One of the men spun toward her. "Hey!" It was the blunt-faced, tall fellow that Yalb had called the "new kid." She didn't recognize the other men. Somehow fighting through the terror and disbelief, Shallan slammed her door and threw the bolt with trembling fingers. If she is to survive, Shallan will have to call on the powers of the spren she is just beginning to understand. And is Jasnah really dead? I very much want to keep reading to find out. Words of Radiance advances to the championship round to face The Emperor's Blades by Brian Staveley. Our first semifinal match in Bracket One of the Battle of the 2014 Books features The Emperor's Blades by Brian Staveley going against Annihilation by Jeff VanderMeer. The winner, the book I (Aaron) most want to continue reading after 100 pages, will advance to the championship round. The Emperor's Blades: Tor hardcover, January 2014, 476 pages, cover art by Richard Anderson. The Emperor's Blades is the first volume in Staveley's Chronicle of the Unhewn Throne high fantasy series. The Emperor's Blades made it to the semifinals with wins over The Barrow by Mark Smylie and Empress of the Sun by Ian McDonald. The first 50 pages of The Emperor's Blades introduced us to Kaden and Valyn, the two sons of the Emperor, who has just been killed. Kaden, the heir to the throne, does not know of his father's death, because he has been training as a monk in a remote monastery. Valyn, who has been learning to be a soldier, suspects a conspiracy that will target Kaden and Valyn next. In the second 50 pages, we meet the sister, Adare, just named Minister of Finance per her father's dying wish. This is as high as a woman can advance in this culture, but Adare is not sure the other ministers will accept her. Meanwhile, Kaden and Valyn face ever more challenging training, and Valyn discovers a key clue about his suspected conspiracy. Annihilation:: Farrar, Straus & Giroux trade paperback, February 2014, 195 pages, cover art by Eric Nyquist. 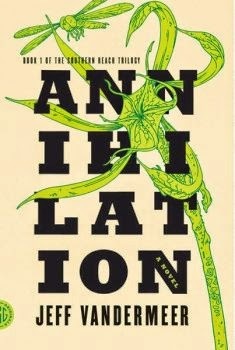 Annihilation is Book 1 in VanderMeer's Southern Reach Trilogy, which continues with Authority and Acceptance. Annihilation made it to the semifinals with wins over The Talent Sinistral by L.F. Patten and What Makes This Book So Great by Jo Walton. The opening 50 pages of Annihilation showed an expedition of four women, never referred to by name, entering the mysterious Area X, which has bested eleven previous expeditions. Our narrator, the biologist, descended into a way-creepy tunnel (strangely called "the Tower") she believes to be a living organism. She also learned the psychologist in the group is using post-hypnotic suggestion on the others, which no longer works on the biologist, perhaps due to contamination from the Tower. In the next 50 pages, our biologist-narrator and the surveyor discover the anthropologist dead in the Tower. Our narrator blames the psychologist, who promptly disappears. The narrator sets off for a derelict lighthouse to which she suspects the psychologist has fled, only to find evidence that Area X is even more bizarre than they realized. The Battle: This is about as fair a fight as we ever get in the Battle of the Books, two books that are both opening volumes in very promising fantasy series. In terms of subgenres, The Emperor's Blades is more prototypical high fantasy, while Annihilation is on the stranger side of fantasy, consistent with Jeff VanderMeer's longstanding association with the New Weird. Through 100 pages, I am enjoying both The Emperor's Blades and Annihilation very much. They are both well-written and engaging. The words spoken before the tomb were as long-winded as they were meaningless, and Adare let them wash over her like a frigid rain: duty, honor, power, vision. They were applied to all Emperors in all imperial funerals. They failed utterly to capture the father she had known. Meanwhile, in Annihilation, Jeff VanderMeer does a terrific job of building a strange and mysterious mood. We have little idea where or when this is happening, and none at all why. For the most part, I've found the strangeness and mystery intriguing, but an author treads a fine line withholding this much information from the readers. For me, all the secrets got to be too much when the narrator mentioned, over fifty pages in, that her husband was in a previous expedition to Area X. That came across as a writer trick--no way would a real person have failed to mention that before. I like Annihilation on an intellectual level. I like The Emperor's Blades and its characters on an emotional level. The Emperor's Blades advances to the championship to face either Motherless Child by Glen Hirshberg or Words of Radiance by Brandon Sanderson. We hope you've enjoyed this tournament so far. This sixteen-book bracket contained books from across the genre. There were science fiction, fantasy and horror books. To get to the Final Four, these books won their first two matches. The other books in the competition, and some of them were quite good, have been knocked out of the running, like in basketball's March Madness. In this bracket, three out of the four books which were "seeded" reached the Final Four. 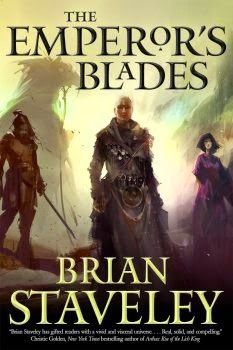 The unseeded book which made it to the Final Four is The Emperor's Blades by Brian Staveley. We have had a great response to the Battle of the Books format. Several future brackets of Battle of the Books are now in the hands of our reviewers, so check back for many more battles to come. Our fourth and final match in the second round of Bracket One of the Battle of the 2014 Books has Swords of Good Men by Snorri Kristjansson going up against Words of Radiance by Brandon Sanderson. The winner will be the book I (Aaron) most want to continue reading after 50 pages. Swords of Good Men: Jo Fletcher Publishing hardcover, January 2014 (UK edition August 2013), 298 pages, cover art by Blacksheep UK. Swords of Good Men reached the second round with a win over Damn Zombies by Patrick MacAdoo. Swords of Good Men is set in ancient Norway. In the first 25 pages, our young protagonist Ulfar Yhormodsson and his cousin Geiri arrive in the town of Stenvik, not far from their home, nearing the end of their temporary exile for some unnamed misconduct. They don't know that Stenvik is about to be embroiled in a large conflict with a group of "White Christians" seeking to overthrow traditional Norse beliefs, through force or coercion. By the second 25 pages, Ulfar has fallen madly in love with a young woman named Lilia, while two groups of soldiers, at least one if not both employing fearsome magical powers, approach Stenvik. Words of Radiance: Tor hardcover, March 2014, 1080 pages, cover art by Michael Whelan. 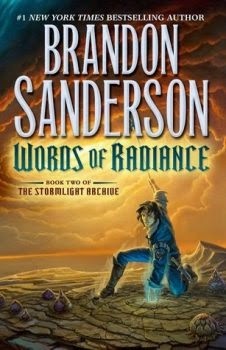 Words of Radiance is the second volume of Sanderson's epic fantasy series The Stormlight Archive. Words of Radiance advanced to the second round with a solid win over Into the Wilderness by Mandy Hager. In the first 25 pages of Words of Radiance, we met Shallan and her mentor Jasnah Kholin, two women studying the magical spheres called spren. The next 25 pages introduce us to a group of brothers in arms, led by a man named Kaladin, who bonded at "Bridge Four." These soldiers were enslaved because of their dark eyes, but fought their way to freedom, presumably in the previous volume. Kaladin has some magical abilities, although we don't yet know just what they are. As it happens, it also seems that Shallan has magical talents, but even she doesn't yet know what they are. The Battle: Words of Radiance is the second book in a series and I haven't read the first, but the prologue and first chapter read so smoothly I didn't feel like I was missing anything. In the second 25-page section, I'm more conscious of all the backstory I've missed. Kaladin and his men have already been through a lot, including a betrayal that caused a major battle to go poorly for their side. But even though I'm joining their story in the middle, I feel I have a good sense of their motivations——their fierce loyalty to each other comes across convincingly——and of Kaladin's personality. 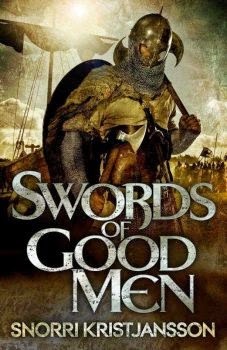 Through 50 pages, I don't feel the same sort of connection with any of the characters of Swords of Good Men. In particular, our main character Ulfar, who I think is supposed to come across as likably rakish, so far mostly seems like a twit. He is supposed to be a womanizer, yet he has fallen madly in love with a girl who has said exactly one word to him: her name. The author's assurance that she has striking eyes doesn't do enough to hold my interest through 50 pages. She did not think as she drew. The art consumed her, and creationspren popped into existence all around. Dozens of tiny shapes soon crowded the small table beside her cot and the floor of the cabin near where she knelt. The spren shifted and spun, each no larger than the bowl of a spoon, becoming shapes they'd recently encountered. She mostly ignored them, though she'd never seen so many at once. Faster and faster they shifted as she drew, intent. The pattern seemed impossible to capture. Its complex repetitions twisted down into infinity. No, a pen could never capture this thing perfectly, but she was close. She drew it spiraling out of a center point, then re-created each branch off the center, which had its own swirl of tiny lines. It was like a maze created to drive its captive insane. . . .
She jumped, dropping the paper and scrambling onto her bed. Unlike the other times, the embossing didn't vanish, though it left the paper——budding from her matching drawing——and moved onto the floor. Whoa! I jerked my feet off the floor as I read that. I am old enough and I've read enough that's it's awfully hard for an author to catch me by surprise with a scene like that. Brandon Sanderson did it. So he wins. Words of Radiance advances to the semifinal round to face Motherless Child by Glen Hirshberg.